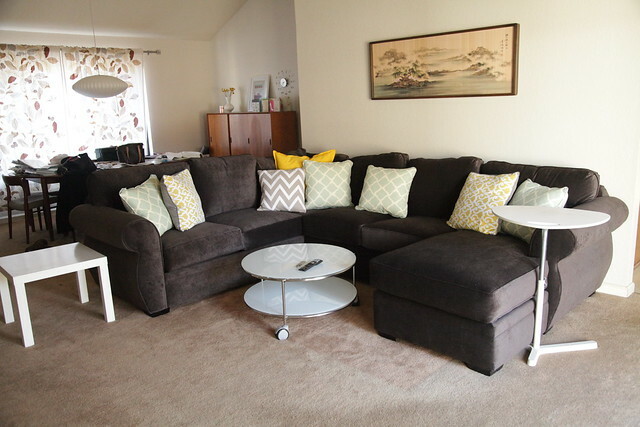 Our new sofa arrived on Wednesday, and in addition to that we got a new coffee table! Since we moved, we’ve been using two fairly beat-up IKEA LACK tables. We decided once our new sofa showed up we’d get a new coffee table. We had our eyes on the STRIND Coffee Table in white, and when we went to get it on Saturday the floor model was in the As-Is section for a little over $20 off the original price. It was meant to be! 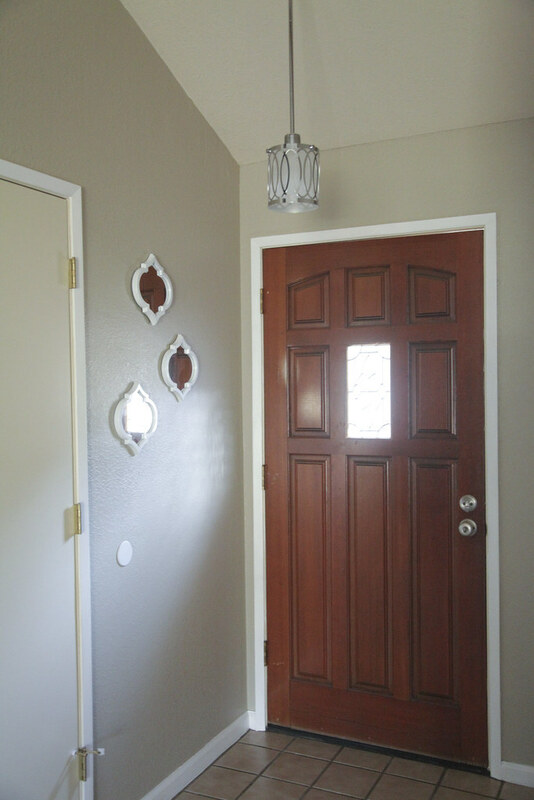 I also painted the trim in the entryway so I could put up those cute little mirrors I snagged at Target last weekend. I got a nice hook rack from Target as well that Joshua will put up this evening. Hooray for progress! Congratulations on the new couch! It looks great in the space. Looking forward to spending some time reading about your home. Glad to have found your blog!